Look in second-hand book shops for older, used copies of your featured title. Most towns and cities will have a dedicated second-hand book seller who can sometimes source copies of particular titles if given enough notice. Alternatively, many online traders – such as Amazon – now offer second-hand versions of titles alongside new copies, at reduced prices. Negotiate a deal with a local bookshop if you are planning to buy several copies of the same title for the book club – if you bulk buy one title and promise to do the same for titles to be featured in the upcoming months, they may be willing sell you the books at a discounted rate. Join a commercial or discount book club. These can be a great source of bargains, offerings books direct from the publisher and heavily reduced from the retail price. They also often run special promotions and provide valuable information on new releases. They are particularly useful if you read in a genre or special-interest area. Use the library. Big libraries will often stock several copies of a title otherwise, members may be able to borrow a copy each from their own local libraries, if they live in different neighbourhoods. If your book operates on a format where you are each reading a different book and rotating through all the titles in a serial fashion then you can simply buy one copy of each title and share it around all the members, through “book rotation”. 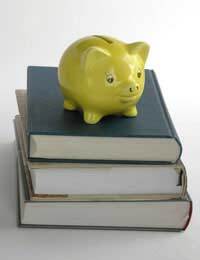 Select books from members’ bookshelves so there will be no costs incurred for new books. It doesn’t matter if they have read it before – reading it within the context of a book club discussion can be an entirely different experience! Download material from the Internet: many websites offer free reading group guides and other useful material for you to download to use in book club discussions. You can also find author information and critical reviews online as well as from mainstream and library publications – these can all help to stimulate discussion and inject new ideas into the meetings. Share the cost of meetings by bringing a plate of food each or seeing if a company or business will sponsor the meetings by providing refreshments. Alternate your own book club meetings with “ready-made” discussions offered by book shops and libraries. You can still attend as a group and perhaps have your own “mini-discussion” afterwards. Use the free facilities offered by many libraries and bookstores, who often encourage book clubs and are happy to host reading groups. Many modern bookshops are now furnished with comfortable seating and spaces where readers can gather, not to mention the in-store cafés. Ask for book tokens or bookshop gift cards as birthday and Christmas presents. Like many things in life, finding ways to save money when running a book club is based on common sense and good planning, with a bit of creativity thrown in!